Terminator is a must-have tool for Linux administrators. 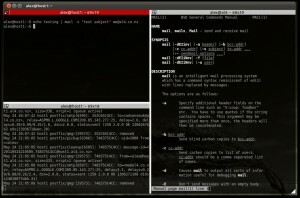 It’s a terminal emulator that supports multiple terminals via tabs, but also by dividing up its window with horizontal and vertical splits. The user documentation is a bit sparse, in fact what you see in the man page is what you get. 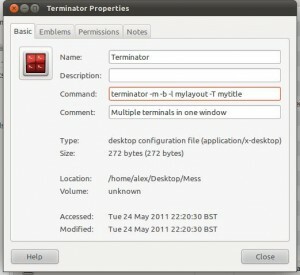 In this post I’ll take you through the features that I think make Terminator the best terminal emulator around. This is terminator’s killer feature. Having multiple terminals in one window allows you to have a lot of information on screen and quickly switch between different sessions. E.g. 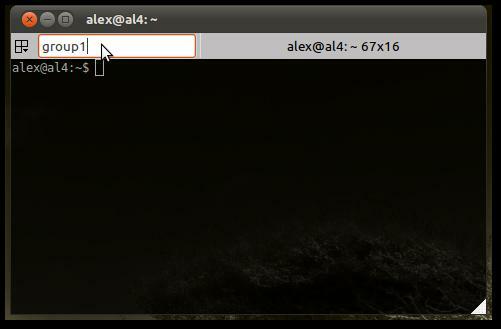 you could be tailing a log in one window while performing actions in another. 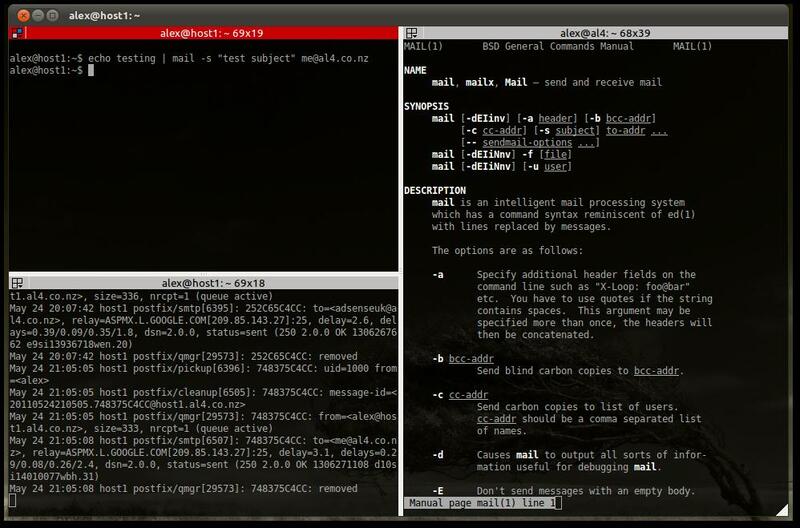 Or open the man page for a command you’re constructing. Or monitor 10 servers at once. The possibilities are endless. 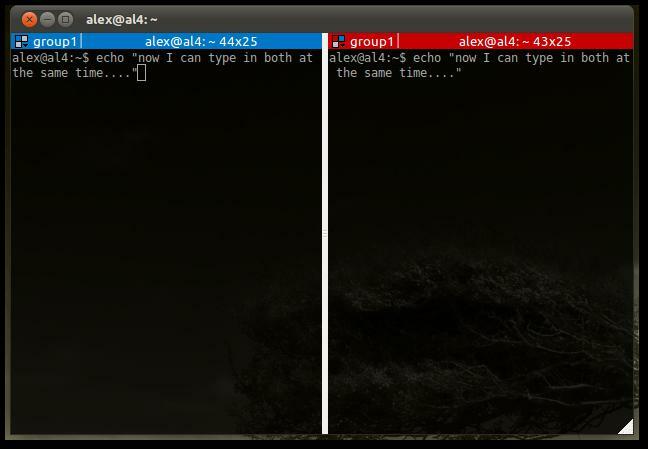 Grouping terminals allows you to perform the same keystrokes on multiple servers at the same time. If terminator has a no.2 feature, this is it. Obviously this can be dangerous and is no substitute for scripting and configuration management, but there are cases where it can be very useful indeed. 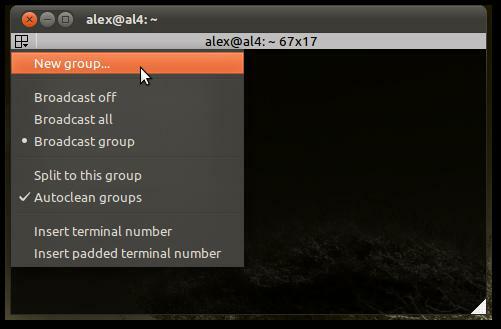 Be careful when grouping all as it groups all terminals owned by the process, including other windows that may not be visible (except those belonging to another instance). For this reason, I make a habit of only ever using Super+T or grouping manually, which groups only the current tab. That way I can be sure that I can always see what is happening. 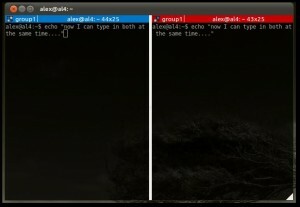 Split panes are great but it is a pain having to manually create the desired layout by splitting the terminal window every time you start the program. Fortunately terminator can store layouts. You can also enter a command that will be executed when the terminal launches – I use this to open ssh sessions to servers (this is most effective if you have authorized your private key). I also changed the default profile to not display scrollbars – I prefer to use Shift+PageUp/PageDown so they were basically useless clutter. Once you get used to terminator you’ll wonder how you ever lived without it. This entry was posted in Articles, IT, Linux, Sysadmin and tagged terminal, terminator on May 24, 2011 by Alex Forbes. Thanks for the layouts explanation, I needed it badly. You’re welcome. I’m pretty sure there isn’t a shortcut key for broadcast, at least I can’t find one. Let me know if you do! If you edited it in the gui, you need to change it from “Primary” to “Ctrl”. Not sure why it did it. 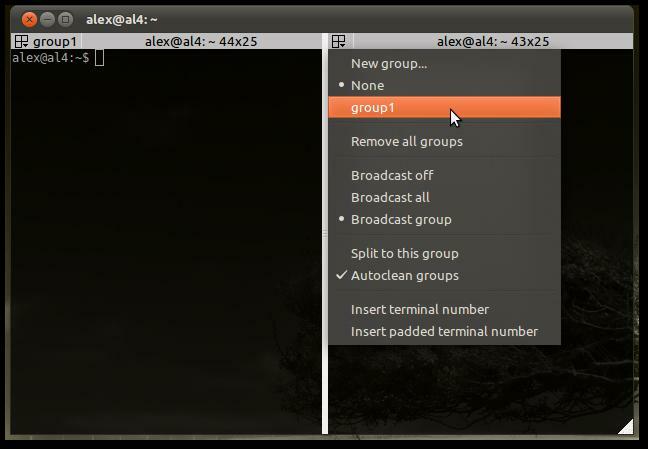 Keyboard shortcut for Broadcast-all is Alt+a, and Broadcast-off is Alt+o. Awesome post thanks, especially the info on layouts they make Terminator incredibly useful. Thanks! just what I needed to look at. I hadn’t understood what groups were for. Very handy. I wonder why there is no easy way to modify a layout. The way I understand it you have to re-add the modified layout and put in all the commands again. Very helpful, especially the part about layouts. That saves me several minutes every morning. Thanks.